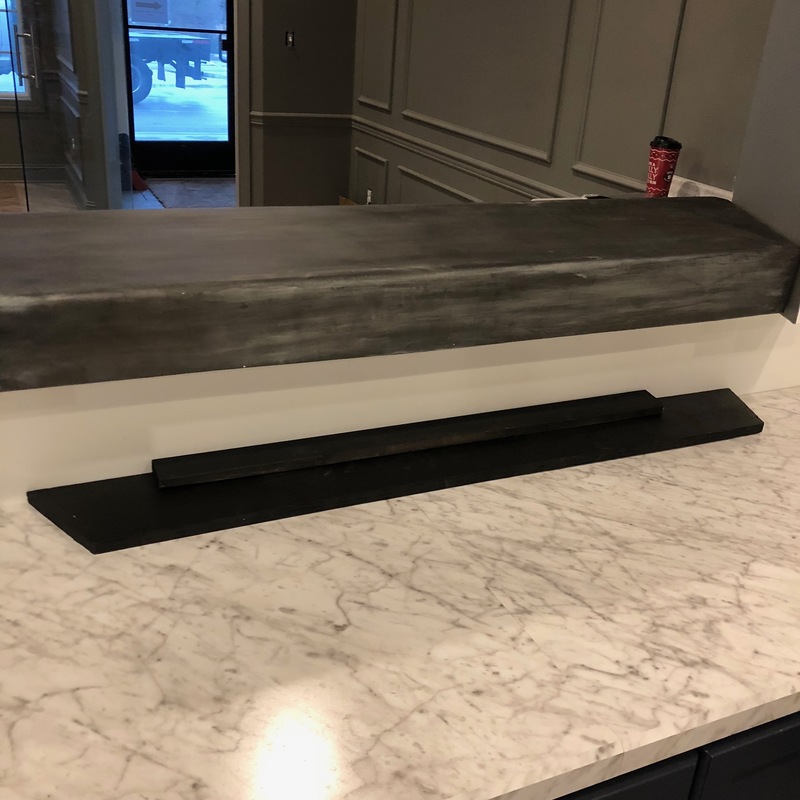 Artfully Industrial was contacted by Reclaim Design, a high end interior design company in Morgantown, WV, to help construct and fabricate a few industrial pieces for their modern dentist office. MSS Endodontic Specialist opened a new office and had the perfect idea for a check in counter and check out area. 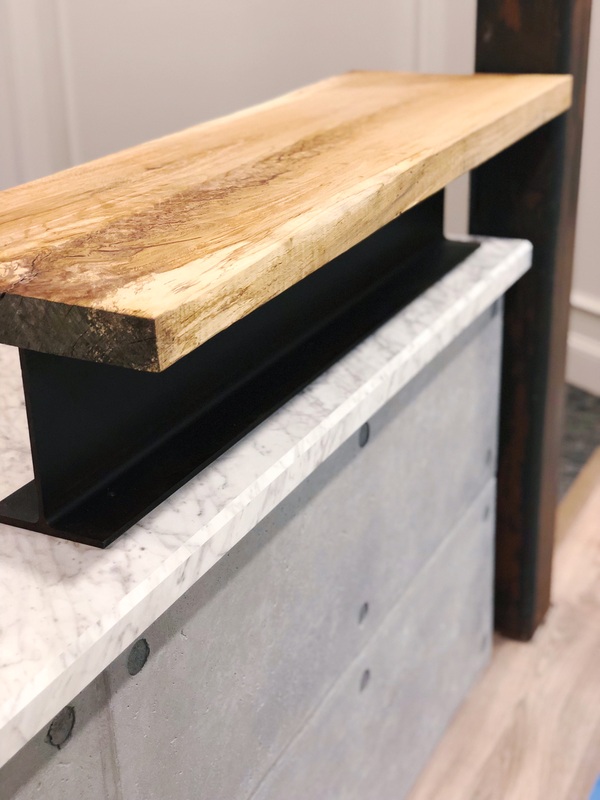 The custom fabricated check-in counter was built to specific measurements and made with pure zinc that was then distressed using a patina. The finished look gave a matte, distressed finish to compliment the decor. 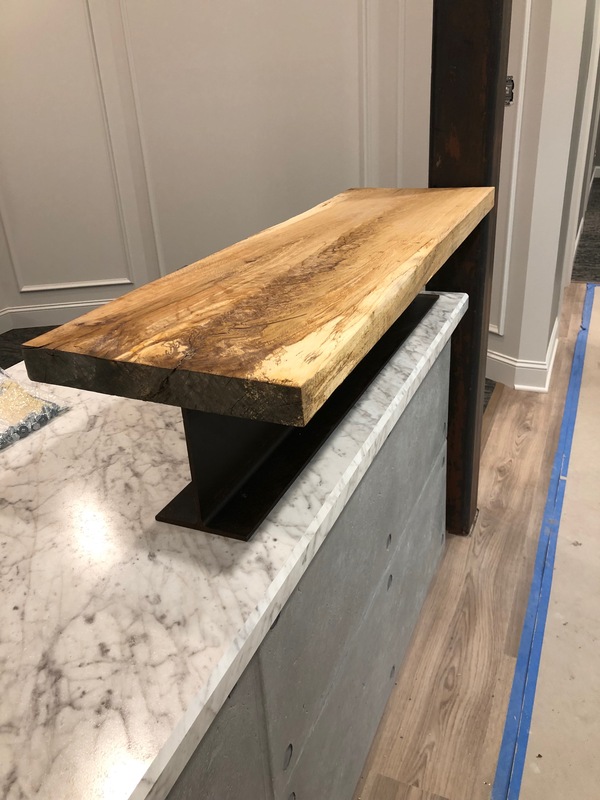 The checkout counter was constructed using a large, steel i-Beam with roughcut countertop as the perfect corresponding piece. 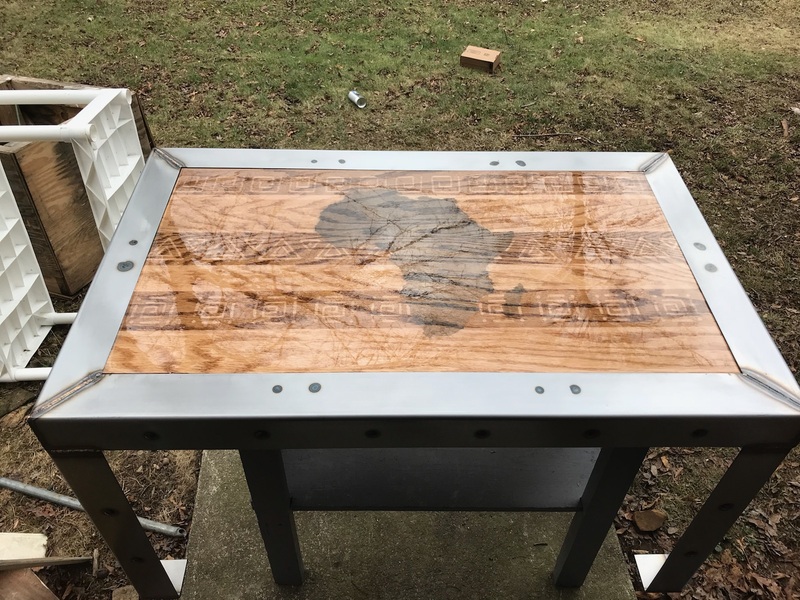 Both pieces were fabricated to the specs provided by the Interior Designer. Custom Magazine shelves were also created from matching roughcut lumber.